YoungMoneyApps.com is proud to introduce RHINO DEFENDER!! – Do you want to help in the effort to save the worlds Rhinos? This is your chance, battle poachers in Africa by defending your Rhino Farm from poachers coming to steal them! Collect coins, diamonds and extra life and battle poachers you find in the game – each download of this game helps create awareness of the problem the world faces with rhino poaching. We all need to help – We can all so something. YoungMoneyApps.com is proud to have contributed to such a noble cause, we need to preserve these wonderful creatures for generations to come. Quick and easy to learn, a lifetime to master. 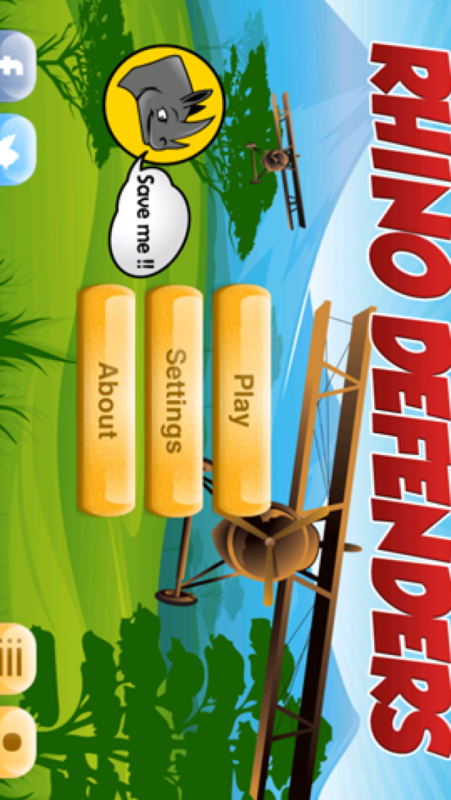 Super smooth game action as you battle poachers. Save as many Rhinos as you can! Thank you for downloading this app! Our Rhino friends appreciate it. Go to www.YoungMoneyApps.com for more great applications.